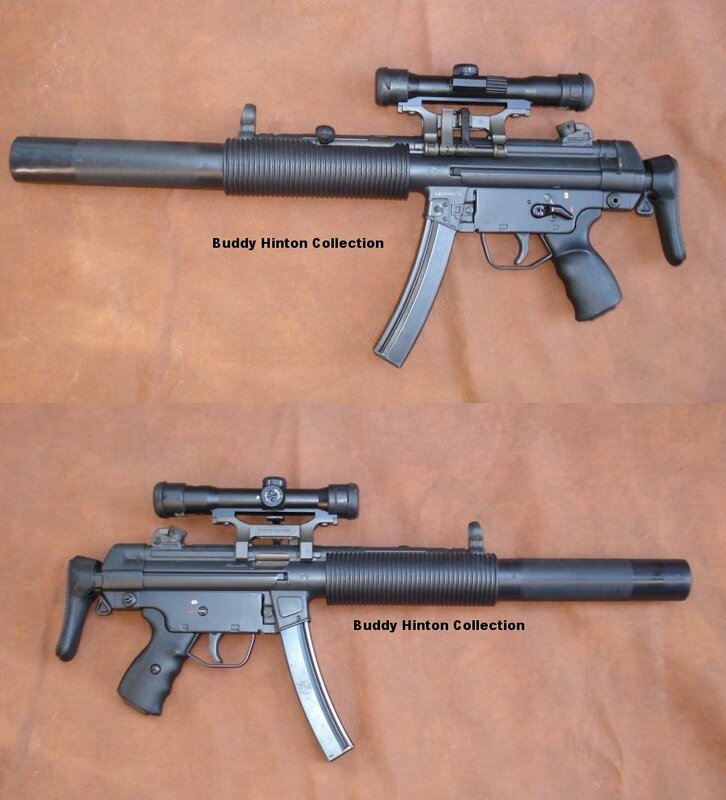 Well ........ here are two HK rifles you DO NOT SEE EVERYDAY !!!! Nice additions to any HK collection ......... I have been taking Great Care of these rifles ..... just waiting to pass them on to You ! 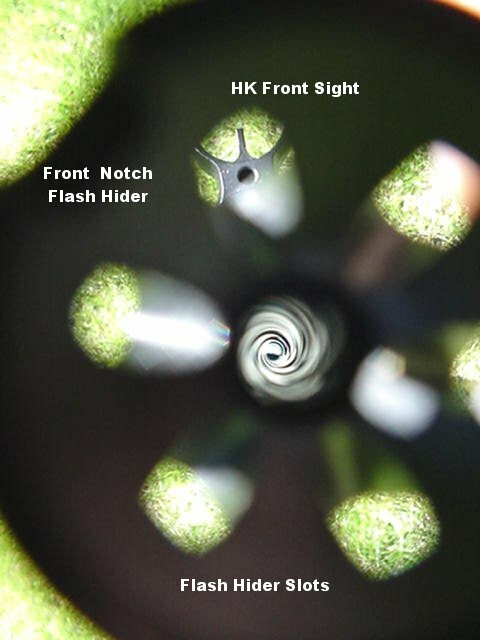 Want something different than a regular HK91 ? 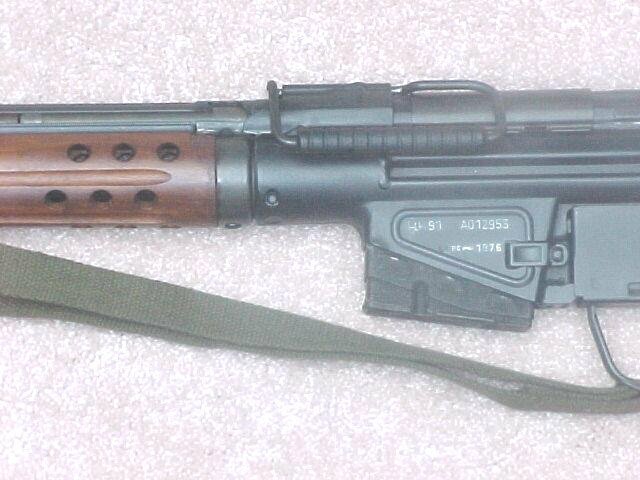 Only a few HK91's with Polygonal Bores were imported way back in 1976 . 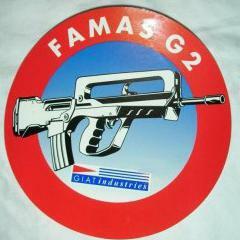 An Excellent rifle ..... unfired by me ..... but has been fired ..... slightly . 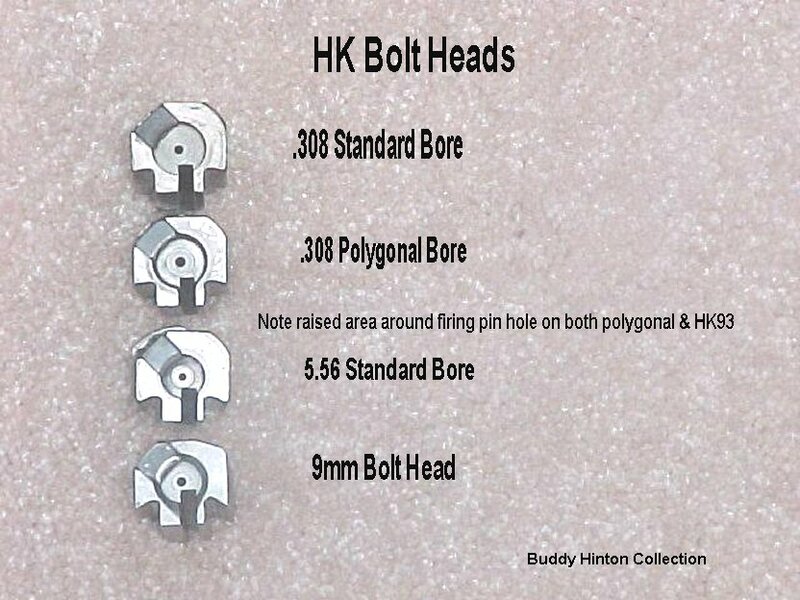 Has Correct Polygonal Bore Bolt Head ....... raised area around firing pin hole. 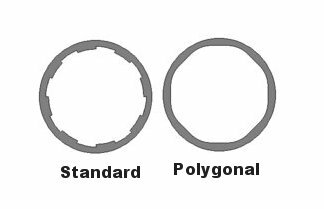 Dozen or so dated coded Aluminium magazines 6/76 3/76 ...... all 76 dated . 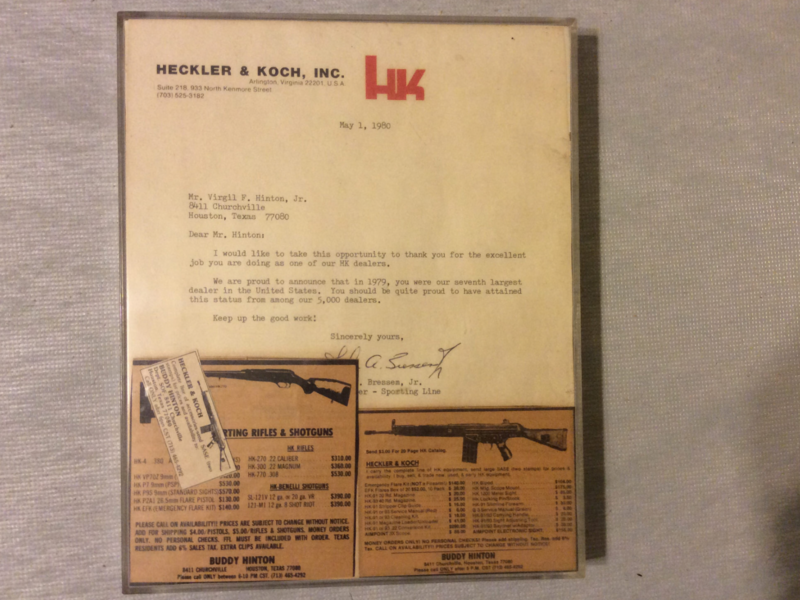 In the late 70's I was HK's 7th largest dealer in the US. 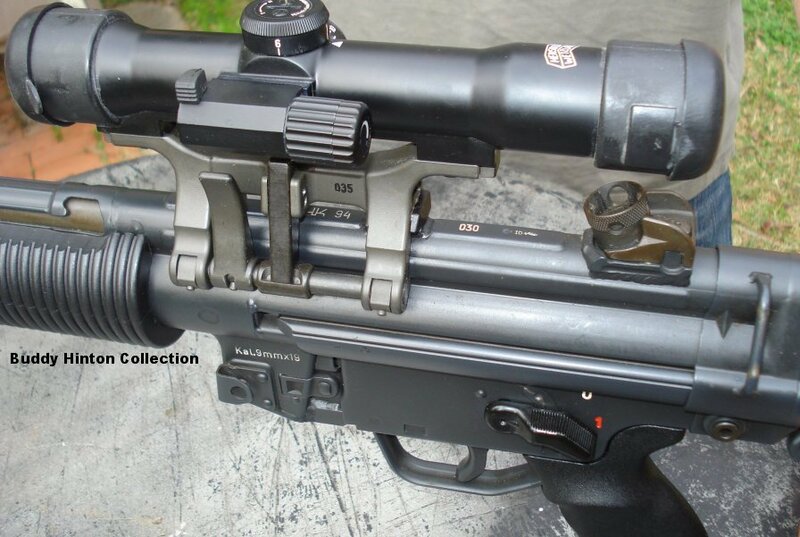 Has the A3 stock on it ...... comes with plastic A2 stock ...... both wide and slim forearms ....... red HK 94 manual ..... plastic SD Barrel Shroud ...... NO ITS NOT A SUPPRESOR !!! I still have the original styrofoam insert with cardboard sleeve properly marked 030 ....... box a bit tattered after all these years ....... but it it Original box to this HK94. And needs to go to a collector ........ not someone that wants to Blast it every weekend . I only accept PayPal or US Postal Money Orders.
" Life's Tough ..... it's even Tougher if you're Stupid "
" My gun is not illegal .... it's just undocumented ! " " Is calling an illegal alien an " undocumented immigrant " like calling a drug dealer an Unlicensed Pharmacist ? "